The NUS community is invited to share their thoughts in memory of Mr Lee on the NUS Facebook page. With the Lee Kong Chian Natural History Museum now located halfway across the Kent Ridge campus and the advent of common labs at S3 and S14, catching up with the rest of the NUS Biodiversity Crew isn’t as convenient as the corridor talk that used to happen at S2. Many animal species have evolved weaponry as a means to resolve conflict between conspecifics in the acquisition of mates. In those species with high size variation, it is common for there to be alternative mating tactics, where dominant individuals behave differently to subordinate males during mate searching and copulation. Despite these alternative mating tactics, subordinate males are usually thought to have a lower mating success than dominant males, and are simply making the best of a bad situation. Males of the New Zealand giraffe weevil (Lasiorhynchus barbicornis) possess greatly elongated rostrums used as weapons during contests with other males for access to females. However, adult males are also highly size variable such that there is a 6-fold difference between the smallest and largest equivalent-aged individuals. I will discuss findings from my PhD research on the mating system of this species, in particular focusing on the evolution of flexible alternative mating tactics and our current evidence for sexual selection on male rostrum size. I will also highlight diversity in weaponry among other brentine weevils around the globe and our current research on these fascinating beetles. Do you have an interest in mammals? Want to learn more about wildlife and contribute to conservation in Singapore? 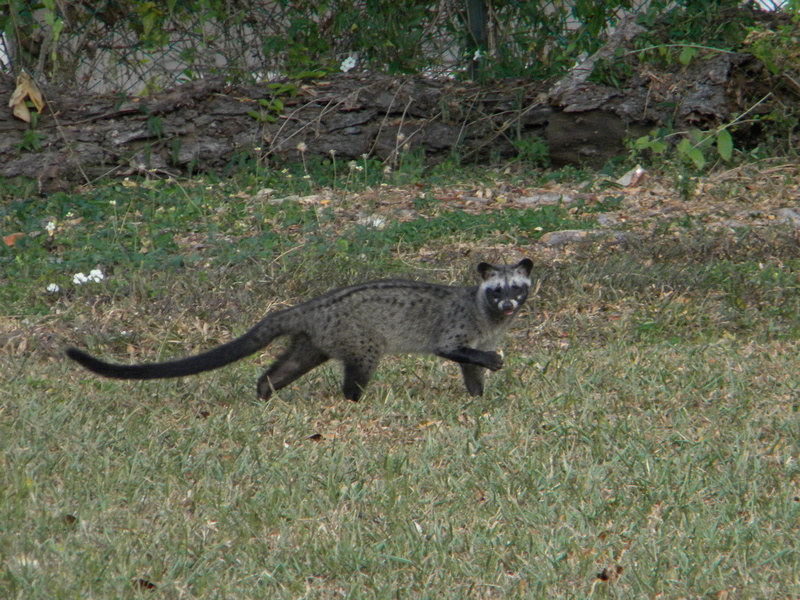 The NUS Common Palm Civet Research Team seeks an intern to help with outreach, research and public education activities for 2015. The ideal candidate should be interested in nature and is passionate about conservation and the environment in Singapore. Candidate should be responsible, communicative, has to be proficient with social media and interacting with members of the public. Enthusiasm and the ability to work independently is a requirement. Able to work on weekends or at night depending on the activities. Internship duration: 6 months commencing April 2015. To apply, please send a cover letter and CV to Mr N. Sivasothi at mammal@sivasothi.com. All applications will be processed in the 1st week of April and shortlisted applicants will be notified. The interviews for shortlisted applicants will be in the 2nd last week of April 2015.